Indulging users in delivering first-class machinery with state-of-the-art technology and plug n’wind philosophy. SSM winding machines fulfil the requirements for dyed yarn with a wide range of products and recognized state-of-the-art technologies. With the DP5-T, SSM got the most suitable air texturing machine for every application. Consequently the customer can order a machine tailored exactly to his particular needs. SSM GIUDICI S.r.l. provides the machines for the false twist texturing of high quality fine count Nylon yarns. Strive for excellence in air covering. Best possible air covering machine on the market. Single drive technology, maximum flexibility, full package change (Doffer). Offering a flexible and energy efficient draw winding machine, which permits the cost effective production of high quality fully drawn yarns or twisted technical filament yarns. Where single yarn no longer measures up to present standards, twisted yarn is the answer. Assembly winding then helps to satisfy exactly the demands on the twisted yarn. 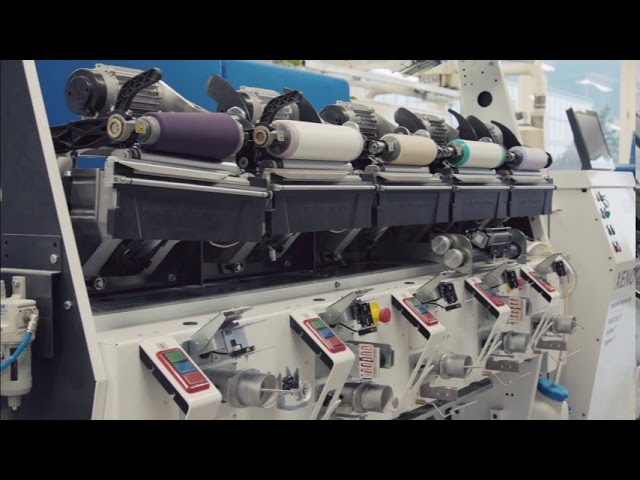 The SSM yarn gas singeing machines assures high customer benefits and top qualities - even the finest yarn counts or single yarns can be processed to best effect. Sewing thread may account only for 0.5% of fiber amount within a garment, however, it shares fairly more than 50% of responsibility for the final quality of a garment. SSM offers machines for parallel winding of spun and filament yarns on flanged bobbins, as well as a conventional single covering.